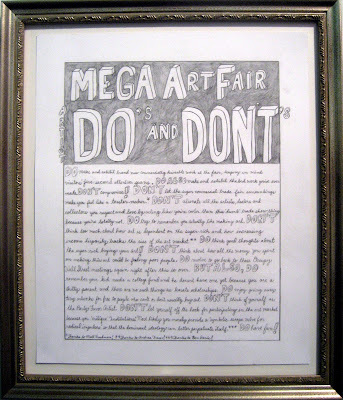 One thing about seeing so many fairs in a short time is that after a while it become less about individual works and more about how they are set into the larger context of an installation. 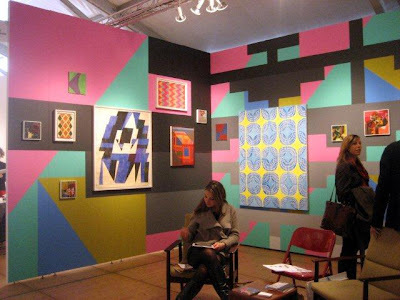 I'm showing a few booths and walls that jarred me out of my art-fair trance. Big like here! 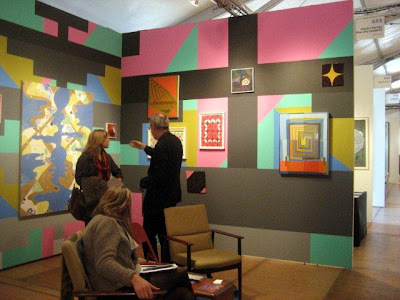 Andrea Bergart painted the mural--reminiscent of South African Ndebele murals, but with a softer palette--and dealer Steven Harvey placed geometric abstractions theatrically within the composition. 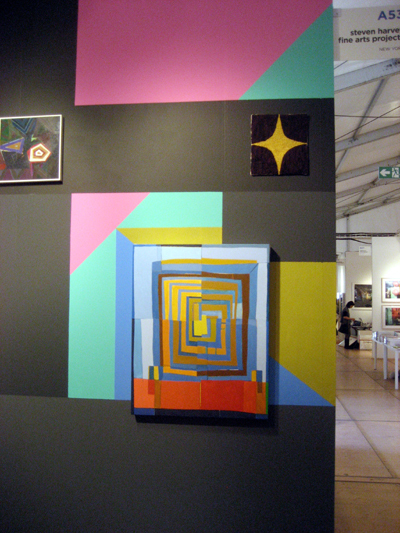 I loved the way each painting informed the others, and the way the walls embraced them all. Volta is a solo-projects fair, and Zevitas chose Andrew Masullo, who's having a major moment. His work is included in the Whitney Biennial, and during fair week it was also shown with Feature Inc, the Lower East Side gallery, at The Independent. 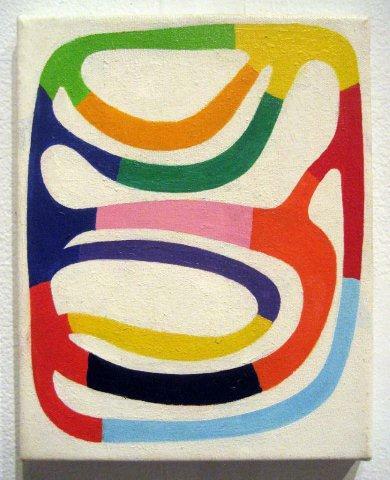 Not only do I love Masullo's brand of abstraction--idiosyncratic and throbbingly saturated--but I appreciate that he hasn't capitulated to size. 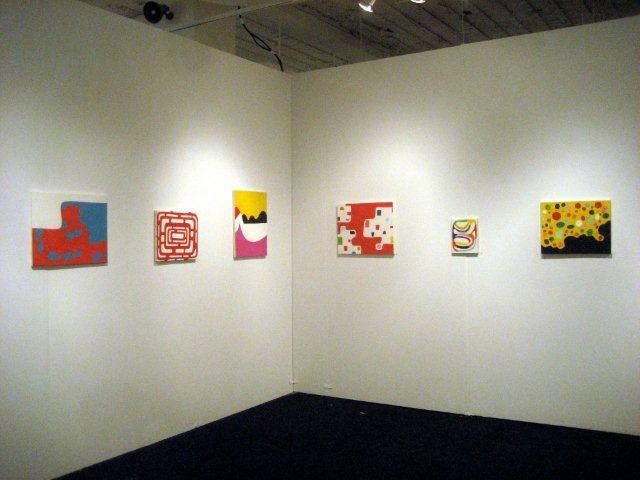 These works are meant to be viewed on an intimate scale. 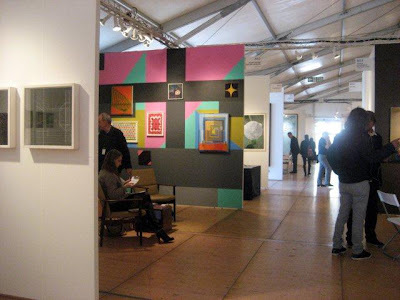 Spanierman Modern placed this installation of Betty Parsons assemblages on the outside wall of its booth. Parsons is famous as the 57th Street dealer who championed Abstract Expressionism, but she was also an accomplished sculptor. 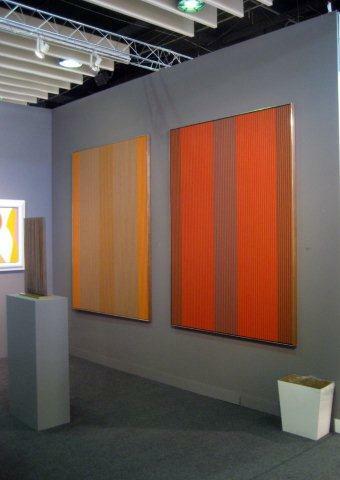 One of the California Cool abstractionists from the Sixties, Benjamin is still painting. Read a fabulous interview with him on Geoform, where he chats with the site's editor, Julie Karabenick. 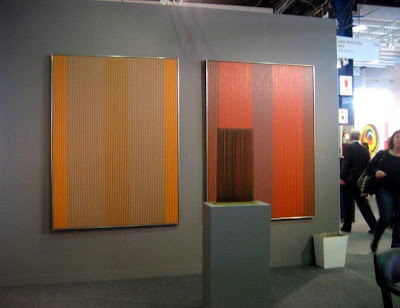 And how much do I love the Bertoia against the Benjamins? Zoubok's program is focused on collage and assemblage, and his booths are always curated to reflect that same esthetic. 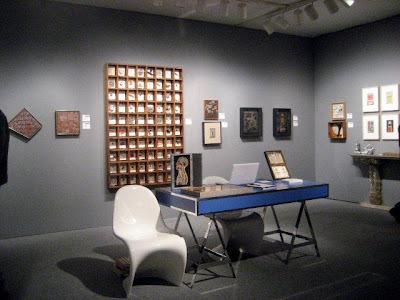 (He had another booth at Armory Modern.) 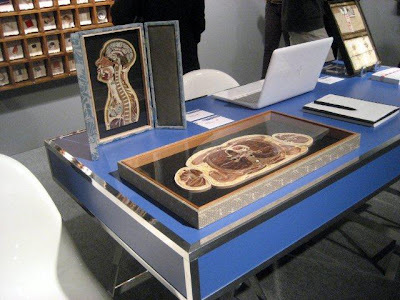 A find for this gallery: Lisa Nilsson, who makes rolled-paper collages of cross sections of body parts, like the head and chest, below left, and the slice of chest on the table. "A thoracic surgeon bought it," said Zoubok of the chest slice. 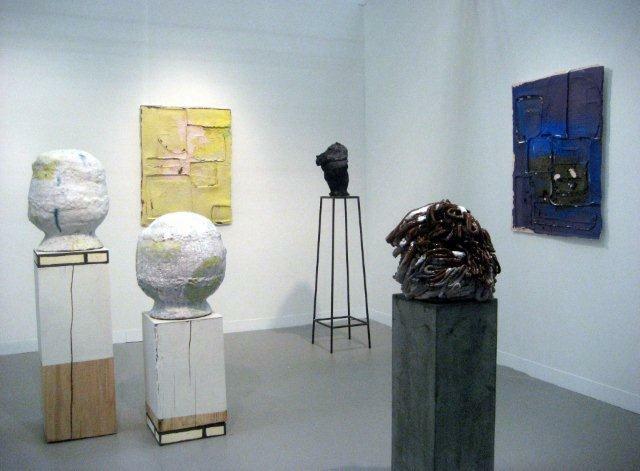 This large corner of Shainman's booth holds Shechet's clay sculptures and two cast-paper wall pieces. The works are just radiating power. There's Jennifer Dalton, socializing with the art fair hoi polloi. 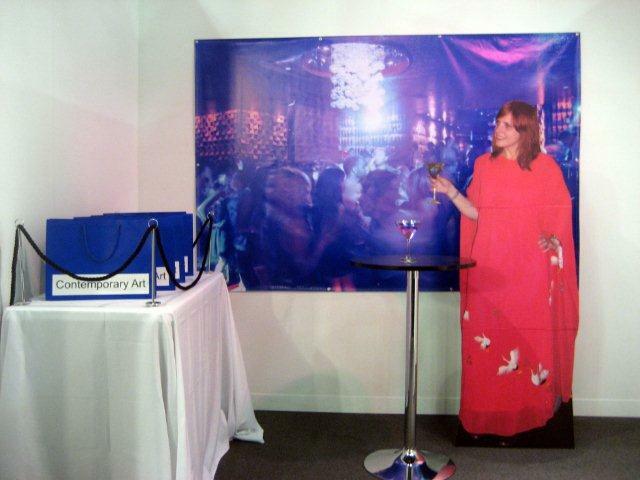 She really knows how to party. Wait! 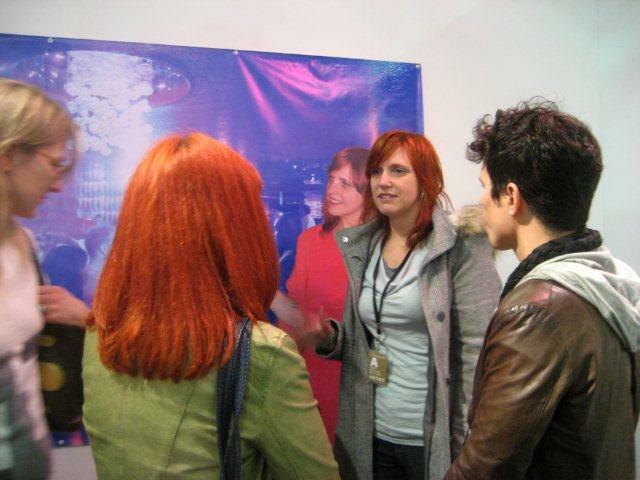 That's her caftaned doppelganger. The real Dalton is shown below. 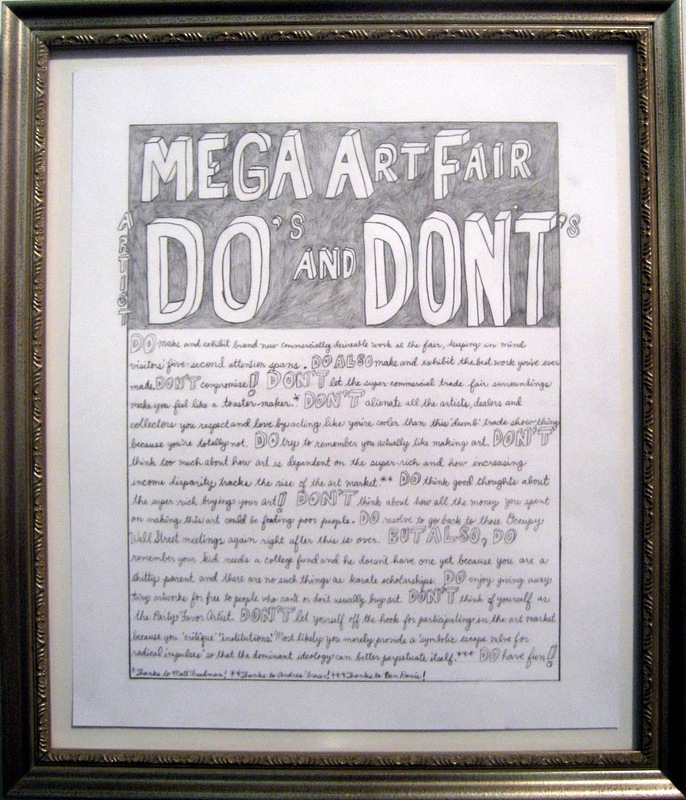 And her Mega Art Fair Dos & Don'ts is shown at the bottom. Great post, Joanne! 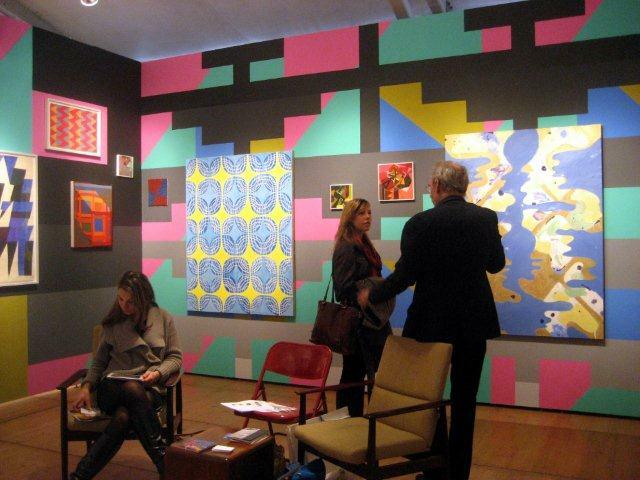 Love the Betty Parsons works. I had only seen a couple previously but these look great - so engaging and freely painted. And of course, the wonderful Arlene Schechet. 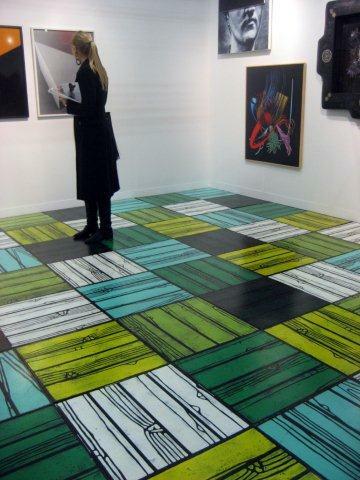 Wow, her work is so fabulous - whether free standing or on the wall. Just love, love, love it! 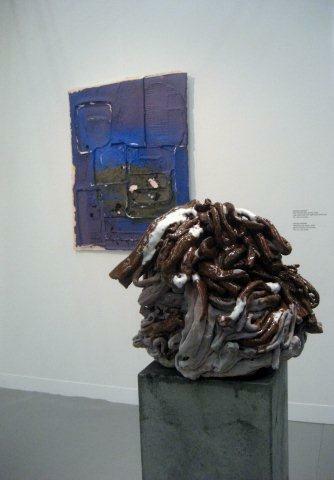 Those Guston-esque heads are to die for and placing them on pedestals with what I think are kiln tiles is genius. Thanks for showing this cream of the Armory crop. I love your post! Thanks so much. a wonderful selection of what I'm sure was a visit packed with about 20 times as much! Thank you for sifting out the high points to share. Thanks for posting these pics! 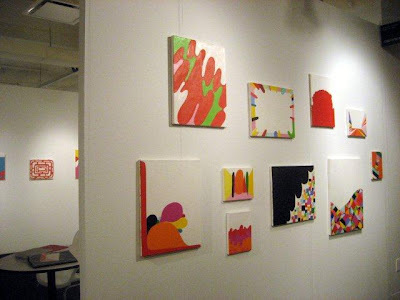 I love Andrew Masullo's work too, luscious color and quirky shapes! Wonderful post Joanne. I too am a big fan of Andrew Masullo and have been watching this huge rise. Well deserved. The Steve Harvey project could have easily gone wrong but it was so well considered, eye catching work as well as booth. 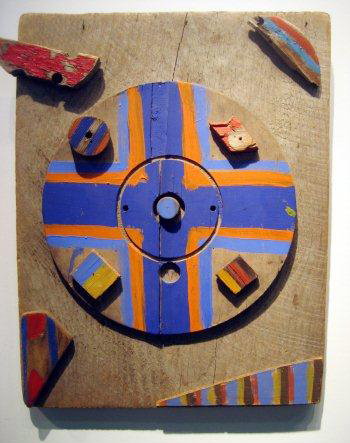 Had not seen those Betty Parsons before either, such a treat. What a marvelous selection. 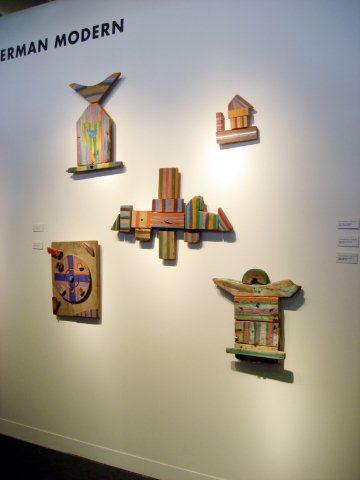 I was delighted to see the Betty Parsons reliefs too. What Nancy said!